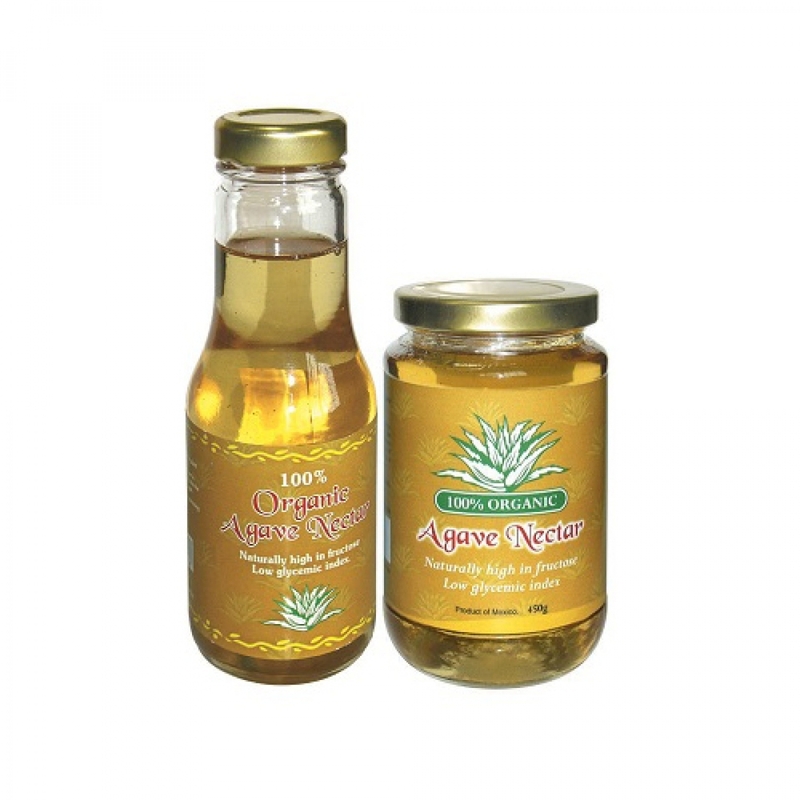 Agave nectar (sometimes called agave syrup) is most often produced from the Blue Agaves that thrive in the volcanic soils of Mexico. Delicious, safe and healthy alternative to table sugars and honeys. Naturally extracted from a cactus-like plant native to Mexico. It is high in natural fructose (fruit sugars) and has no sucrose. It absorbs slowly into the body, decreasing the highs and lows of blow sugar level. It has a low glycemic index of 10 or 11 compared to honey 32 to 58. Agave is non-crystallizing and dissolves quickly in hot or cold beverages. No refrigeration is required. Generally use as a sweetener to any cooking and baking needs or to sweeten beverages.